More Nickelodeon Junior: 1, 2, 3… Coloriage | Épisode 118: Blaze et le Monster Machine (EN INTEGRALITE) | NICKELODEON JUNIOR FRANCE! Watch more Paw Patrol on Nickelodeon and Nickelodeon Junior! Kira Kosarin Announces "Nickelodeon's 2017 Valentine's Special"
MUMBAI: Nina Elavia Jaipuria, EVP & Business Head, Kids Cluster, Viacom18, is elated that Nickelodeon India has held on its numero uno position for the third year in a row under two different audience measurement systems, TAM and BARC! Jaipuria is also satisfied with the growth of Sonic, which has been given booster shots in the form of getting to air Nick's popular franchises like Shiva, Oggy & the Cockroaches and Pakdam Pakdai. “Nick’s market share is 22% and the next channel is 17%. Hence, there is a large gap between us and our nearest competitor. Sonic’s share has jumped to 7% on average from 3–4% due to Shiva. Together, Nick and Sonic have almost 30% share,” Jaipuria told TelevisionPost.com. The total ad market for the kids genre is Rs 500 crore (Rs 5 billion) and is growing at 10–11%. Of this, Nick and Sonic take away more than 30% of the ad revenue, avers Jaipuria. “Nick has seen 25–30% growth in its ad rate. Since we are a 100% utilised channel, all growth has to come from effective rates (ER). Sonic’s ad rates have grown by 50%,” she stated. Jaipuria attributes the success of Nick and Sonic to the creation of a portfolio of characters rather than depending on one character. “We have Shiva, Ninja, Oggy, Pakdam Pakdai, and Motu Patlu. Each of them has worked in a peculiar way for us,” she said. After TV, digital and licensing & merchandising (L&M), Viacom18’s kids franchise Nick is all set to engage its core target audience with the second edition of Kids Choice Awards (KCA) 2016. The awards property, which had made its debut in 2014, will be bigger in its second edition. The property opens up a new revenue stream for Nick, which currently gets 90% of its revenue from ad sales and subscription with L&M making up the remaining 10%. “This property provides a new touch point to a lot of sponsors who are looking beyond 30-second spot engagement. This is a novel way of breaking the clutter. It’s a win-win situation for all as kids get a customised property, advertisers get an advertising touch point, and broadcasters get a property to engage their core audience,” explains Jaipuria. For Jaipuria, the time is ripe to bring back KCA at a bigger scale. She feels that kids are under-served as far as live event properties are concerned. Unlike other film awards properties, which are oriented towards adults, KCA has been tailormade for kids. In Nickelodeon Kid's Choice Awards India, kids could vote for best actor, actress, film and kids character. There are 13 such categories for which kids have voted. The voting ended on Monday 28th November 2016. The event will take place on Monday 5th December 2016 at Reliance Studios (Film City), Mumbai. It will have 500 guests, primarily kids, on invite-only basis drawn from NGOs and schools. In this edition, the property will have a wider reach through airing on multiple Viacom18 channels. The event will premiere on TV during Christmas vacation on Viacom18’s kids cluster Nickelodeon, Sonic, Nick Jr. and Nick HD+. It will then air on other network channels including Colors, Rishtey, Colors Bangla, Colors Marathi, Colors Gujarati besides the over-the-top (OTT) offering Voot. “We did KCA for the first time in 2014, but that time it was on a smaller scale because the Nick franchise itself was not so robust. Today, the platform is very healthy and robust with multiple characters. We will leverage the equity that we have in the network. Moreover, it is a property that is very family-inclusive; therefore, it makes sense to air it on other network channels,” Jaipuria said. The property has four main sponsors including Dabur Red Paste as the presenting sponsor, Lifebuoy and Choki Choki as co-powered by sponsors, and Funskool as the associate sponsor. The property will have all the pomp and show with Alia Bhatt, Varun Dhawan, Akshat and Raghav Juyal, Mouni Roy and the Dramebaaz kids performing before the audiences. The event will be anchored by the popular duo Manish Paul and Rithvik Dhanjani. Nick is mounting an extensive marketing plan for the property spanning TV, print, radio and activations. In addition to a high-frequency promo plan across the Nick cluster, the property will be promoted through Dish TV. Ground activations have been planned in malls across Mumbai and Delhi besides van promotions across 30 cities in Maharashtra and Gujarat. The property will also be promoted on multiple screens in McDonald’s across 150 outlets in the North. “We are going to burn 3,000 promos from the time the voting started until the tune-in,” Jaipuria said, summing up the marketing plan. Nick is gearing up to launch another local intellectual property in partnership with Toonz Animation. The new animation show will debut either in Q4 or Q1 of the next fiscal year. “We will be launching our new local IP very soon. It makes sense to create more IPs because then we can leverage that IP across platforms like broadcast, digital, and L&M in our network,” Jaipuria said. Nick, she said, is looking at different angles of revenue streams. One is of course doing an on-ground event, but a bigger opportunity for the brand is L&M. “Our L&M is growing at 50% CAGR. 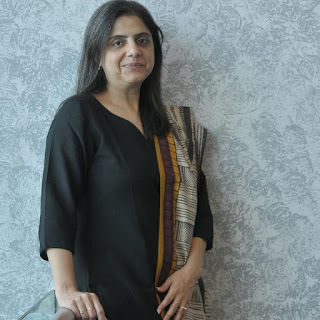 Brands have partnered us to launch co-branded products across segments like apparel, accessory, footwear, home and back to school,” she added. Talking of on-ground events, school contact programmes have emerged as another avenue for Nick to engage with kids and advertisers. Another growing revenue stream is the digital product Voot Kids. As part of its strategy to leverage a character across multiple touch points, the network will launch pre-school Peppa Pig on Nick Jr. and Voot Kids. The character will also be extended to consumer products. 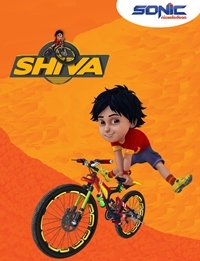 Besides launching a new local animation property, Nick, which commissions 150 episodes every year, is launching fresh episodes of Shiva, Motu Patlu, Pakdam Pakdai and Ninja Hattori. Jaipuria believes in churning out a new IP every year as this helps in keeping the freshness alive on the channel. It also helps in beating the fatigue for existing shows. For more juicy gossip and daily news visit thescoop.nick.co.uk and tune into Nick At Nite weeknights from 7pm, only on Nickelodeon UK & Eire! More Nick: Lip Sync Battle Shorties | Get to Know Your Shorties! | Nickelodeon! Visit nick.com/lipsync for more Lip Sync Battle Shorties! More Pinky, Babs and JJ: Why Did You Unfollow Me!? | Pinky Malinky | Nickelodeon! Plus, follow the Pinky Malinky production team on Tumblr and Instagram! Follow NickALive! on Twitter, Tumblr, Google+, via RSS, on Instagram, and/or Facebook for the latest Nickelodeon and Pinky Malinky News and Highlights! More Nick: Joe Murray Reveals Details About Nickelodeon's "Rocko's Modern Life" TV Movie! Follow NickALive! on Twitter, Tumblr, Google+, via RSS, on Instagram, and/or Facebook for the latest Nickelodeon Animation Podcast News and Highlights! More Nick: Nickelodeon To Premiere "Albert" In Germany, Switzerland, Austria And Poland On Saturday 17th December 2016! Watch more Henry Danger and The Thundermans on Nickelodeon and TeenNick! Follow NickALive! on Twitter, Tumblr, Google+, via RSS, on Instagram, and/or Facebook for all the latest Nickelodeon Germany, Henry Danger and The Thundermans News and Highlights! More Power Rangers: Nickelodeon USA To Premiere Brand-New "Power Rangers Dino Super Charge" Holiday Special "Here Comes Heximas!" On Saturday 10th December 2016! Bastidores de tudo o que rolou nas gravações de "Ritmo Robótico", da série Eu Sou Franky. Bastidores da gravação da música "Ritmo Robótico" da María Gabriela de Faría para a série Eu Sou Franky. More Nick: Namoro ou amizade? | Eu Sou Franky | Nickelodeon Brasil! More Nick: "Luz" | Eu Sou Franky | Nickelodeon Brasil! Marije en haar twee volgers zette een top tijd neer tijdens Nick In Trouble. Nick in Trouble - Elke zondagochtend om 9.00u live op Nickelodeon Nederland. Mis het niet! Meer Nick: Nick in Trouble | Live Stream (6): Annemarie | Nickelodeon NL & BE! 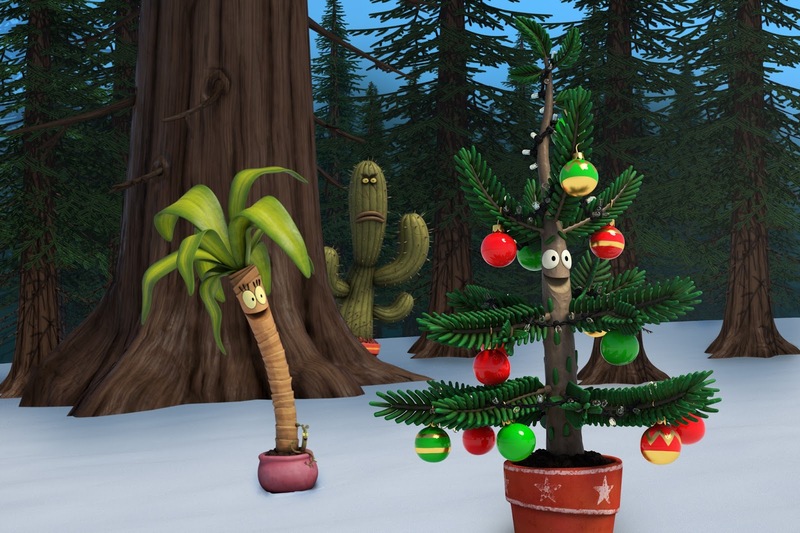 More Nick: Watch And Win With "Stuck Up Christmas" This December On Nicktoons UK! So ein Freund wünscht sich jeder: SpongeBob überrascht Sandy mit Blumen! SpongeBob und Patrick müssen herausfinden, wer ihren selbstgebackenen Kuchen geklaut hat. Du kannst uns ruhig glauben, SpongeBob, wir sind noch nicht mal unterwegs! Mr. Krabs kann sein Geld nicht mehr finden! Wer ist der Übeltäter? Mehr Nick: SpongeBob Schwammkopf | Neue Folgen ab dem 28.11.16 | Nickelodeon Deutschland! 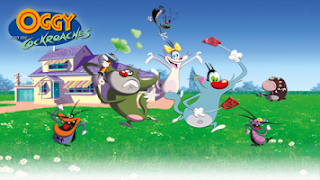 Retrouve Les Lapins Crétins sur NICKELODEON ! More Nickelodeon: Rabbids: Invasion | Go To The Moon | Nickelodeon France! Follow NickALive! on Twitter, Tumblr, Google+, via RSS, on Instagram, and/or Facebook for the latest Nickelodeon France and Rabbids: Invasion News and Highlights! More Nick: 3 Ways to Make Mashed Potato Gary | SpongeBob SquarePants | Nickelodeon! 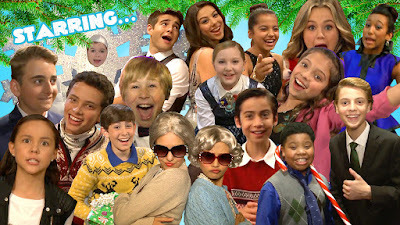 Visit nick.com/happy-holidays for more holiday fun! 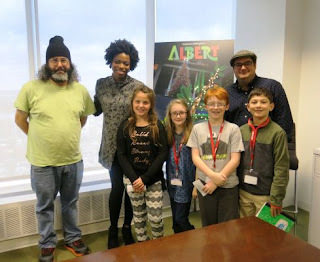 Interview With The Stars Of Nickelodeon's "Albert"
Newsday's Kidsday recently visited the Nickelodeon offices in New York, where they got the chance to interview three of the great comedians who will be starring in Albert, the first original animated TV movie Nickelodeon has ever made! Among the many stars lending their voices to Nickelodeon's brand-new one-hour, CG-animated holiday tale are Bobby Moynihan (Saturday Night Live) as Albert, Sasheer Zamata (Saturday Night Live) as Maisie, and Judah Friedlander (30 Rock) as Gene. Bobby: The first song when they are all getting ready to go on their adventure is pretty fun. There are fun action scenes at the end, but we don’t want to give away too much. What do you love about the character you played? Judah: I played the weed. And weeds are often something that most people don’t want. It is something bad or unwanted. A weed has to fight for himself and can’t rely on other people. Have to have strong personality and a lot of confidence. Sasheer: I love that my character is a really good friend and is supportive. That is what is needed for a lot of people. Bobby: I liked Albert because he just wants to have a good time. Albert is all about having fun! Why do you think kids will like to see Albert? Sasheer: I think it is a very fun story. It has a really good moral and it is always good to see an underdog win. It is a really cool looking cartoon. Bobby: It has fun songs. Judah: And it has a dancing Christmas tree! 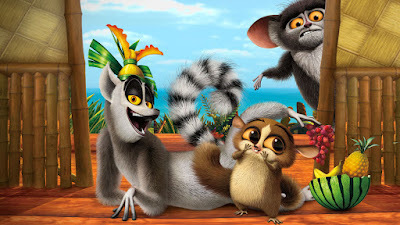 What is different from a cartoon movie and a regular movie? Bobby: When we make animated movies you can be silly and you find yourself jumping around and doing things you wouldn’t normally do. One of Kidsday's favorite parts of the movie was the attack of the Bunnies scene, when a huge group of Bunnies attack the pals because they want to eat their friend’s leaves. Albert premieres Dec. 9 at 7 p.m. EST on Nickelodeon USA, and worldwide soon after. Follow NickALive! on Twitter, Tumblr, Google+, via RSS, on Instagram, and/or Facebook for the latest Nickelodeon and Albert News and Highlights! 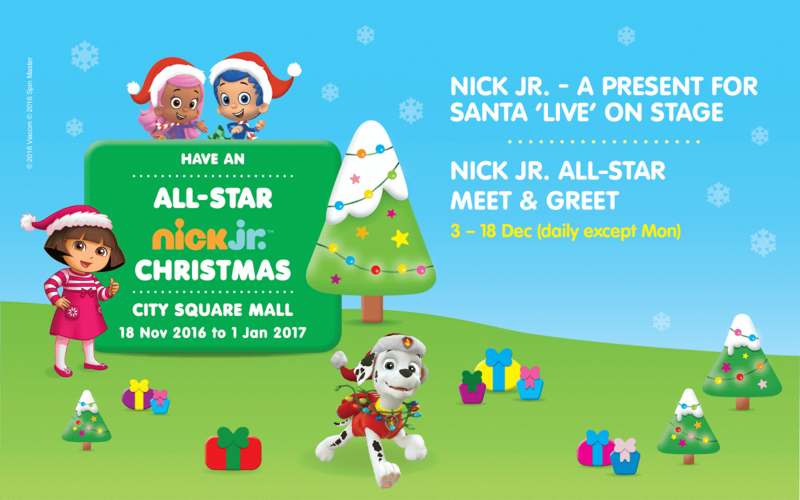 'Tis the season to revel in a star-studded Christmas as Nickelodeon Asia and City Square Mall, Singapore's first eco-mall, bring you an exciting line-up of characters from Nick Jr.! From Friday 18th December 2016 to Sunday 1st December 2017, join Dora the Explorer, the PAW Patrol Pups, Blaze and the Monster Machines, the Bubble Guppies, Shimmer and Shine and Team Umizoomi as they transform City Square Mall into a dazzling Christmas wonderland*! Catch Dora and Boots, along with Chase and Marshall from PAW Patrol, and for the first time in Asia, Bubble Guppies' Gil and Molly 'Live' On Stage daily (except Mondays) from Saturday 3rd to Sunday 18th December 2016! Get up-close with the stars of the shows during Meet & Greet sessions*, with minimum spending of $50* (50 passes per session)! Join Dora and Boots, along with Chase and Marshall from PAW Patrol, and for the first time in Asia, Gil and Molly from Bubble Guppies on a Christmas adventure s they deliver a present to Santa! Celebrate Christmas with the Nick Jr. stars and their exciting stations in the fun-filled Wonderland! Redeem a Wonderland Pass with $40* spent in the mall. W Singapore - Sentosa Cove staycation and $2,000 CDL mall vouchers each. $200 CDL mall vouchers each. 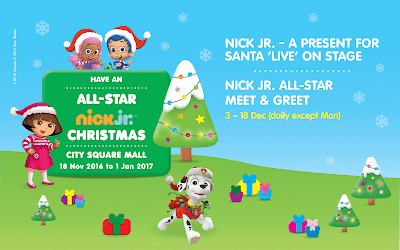 More Nick: Nickelodeon Asia Invites You To Celebrate The Holiday Season With Your Favourite Nick Stars At SM Supermalls In The Philippines! 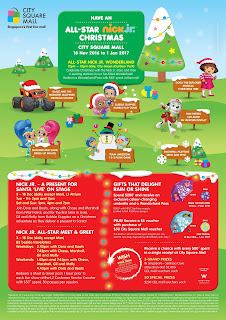 More information can be found on nick-asia.com/events and citysquaremall.com.sg. Follow NickALive! on Twitter, Tumblr, Google+, via RSS, on Instagram, and/or Facebook for the latest Nickelodeon Asia and Nick Jr. Asia News and Highlights! Nickelodeon Asia has partnered with SM Supermalls to host a series of aweslime interactive retail events in shopping malls around the Philippines this Christmas holiday season! This Holiday Season, join your favorite Nickelodeon characters and be dazzled as they parade through SM Sky Ranch Pampanga on colorful floats! Dancers will light up in glittering and magical Christmas-themed costumes, and a spectacular fireworks display will punctuate the evening at Sky Ranch Pampanga! 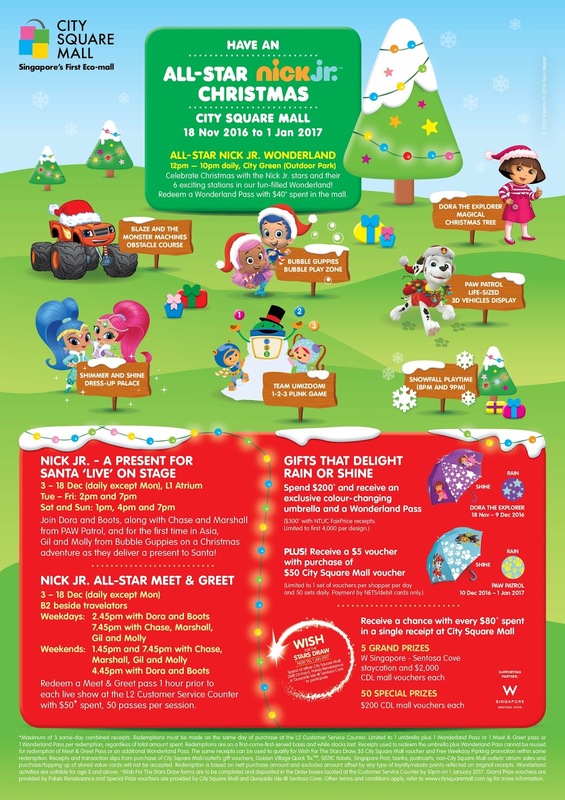 Plus, get a chance to have your pictures taken with Dora and Boots from Dora the Explorer, SpongeBob and Patrick from SpongeBob SquarePants, Chase and Marshall from PAW Patrol, and the Teenage Mutant Ninja Turtles, and fill your Christmas stockings with amazing toys and apparel only from Nickelodeon! Soak up the SEA-SON with SpongeBob and Patrick! 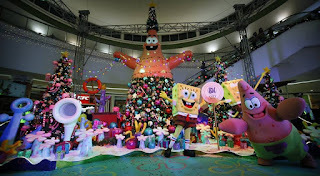 Have a Spongetastic Holiday Experience as Nickelodeon and SM City Molino bring you to a Christmas themed Bikini Bottom. Meet and Greet your favorite under the sea friends SpongeBob and Patrick with fun and games. See you there! It’s going to be a PAWsome Holiday at SM City Dasmarinas with PAW Patrol! Get to experience Adventure Bay, meet & greet Chase and Marshall, ride and take a photo on your favorite Rescue Pup's vehicle, and take part in exciting games and activities! It’s a Christmas Fiesta at SM City Bacoor with Dora the Explorer! Come, meet and greet Dora and Boots at the activity Center, fun and games awaits! Visit nick-asia.com/events for the latest information about each event. Additional sources: Facebook.com/SMCityPampanga, Facebook.com/SMCityMolino, Facebook.com/SMDasmarinas. 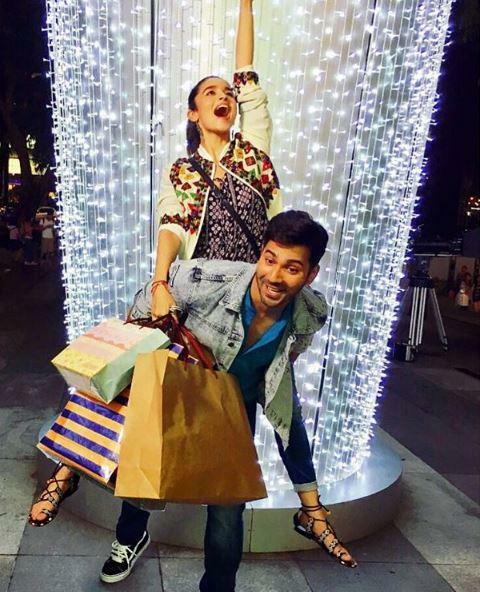 Nickelodeon India has announced the exciting news that Student of The Year stars Alia Bhatt and Varun Dhawan are set to perform at Nickelodeon Kid's Choice Awards 2016 India! Hosted by Manish Paul, the Bollywood star and slime-studded Nickelodeon Kid's Choice Awards 2016 India will take place on Monday 5th December 2016, and will honour kids favourites from the worlds of film, music, television and gaming. "These awards feel more special because the winner is clearly a favourite of the kids and also boosts our morale to do better and keep entertaining our audiences," Varun said in a statement on being a part of Kids Choice Awards India for the first time. Manish, who has hosted numerous shows, including the celebrity dance-based show Jhalak Dikhhla Jaa, is super excited for the awards night. "It's a challenge to host live acts and even more challenging when it's for kids because we need to be extra cautious of the gags and jokes we develop. I share a great bond with kids and it's going to be a memorable experience," he said. NickHeads in India have been casting their votes across 13 categories for who they want to win a coveted orange blimp by logging onto Nick India's official Kid's Choice Awards 2016 India website at nickindia.com/kcaindia. Each category reflects the entertainment that audiences love to watch and play. Nickelodeon India will also award a special Sports Icon Of the Year award to a Indian sporting hero. The last edition saw superstars like Shahrukh Khan and Hrithik Roshan gracing the Nickelodeon's Kids Choice Awards. Here's another Turtley Awesome animatic scene from when Nickelodeon's Teenage Mutant Ninja Turtles series was still in development! Now remember, always listen to Sensei. Or listen to the Executive Producer, Ciro Nieli's podcast episode to find out more about TMNT! More TMNT: Splinter Training Session Animatic | Teenage Mutant Ninja Turtles | Nickelodeon Animation! Follow NickALive! 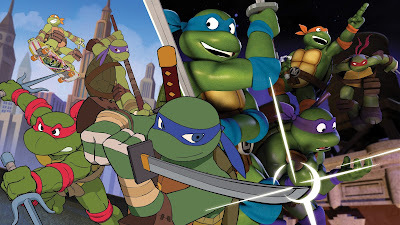 on Twitter, Tumblr, Google+, via RSS, on Instagram, and/or Facebook for the latest Nickelodeon Animation Studio and Teenage Mutant Ninja Turtles News and Highlights! É de segunda a sexta, às 19h, só na Nickelodeon Brasi! More Nick: Coreografia Ritmo Robótico | Eu Sou Franky | Nickelodeon Brasil! More Pinky, Babs and JJ: Thanks Neighbor! | Pinky Malinky | Thanksgiving | Nickelodeon! Follow NickALive! on Twitter, Tumblr, Google+, via RSS, on Instagram, and/or Facebook for the latest Nickelodeon Portugal and PAW Patrol News and Highlights! More Miraculous: Marinette Leaves Her Crush an Awkward VoiceFAIL?! | Miraculous Ladybug | Nickelodeon! More Miraculous: Miraculous Ladybug | Comic-Con Miraculous Panel At SDCC 2016 | Tales of Ladybug and Cat Noir! Meet Nickelodeon's 2016 HALO Awards honorees: Grace Callwood | Jonas Corona | Lillian Pravda | Chris Suggs! More Nick: Nickelodeon Consumer Products Signs 13-Year-Old Sensation JoJo Siwa to New Licensing Program! 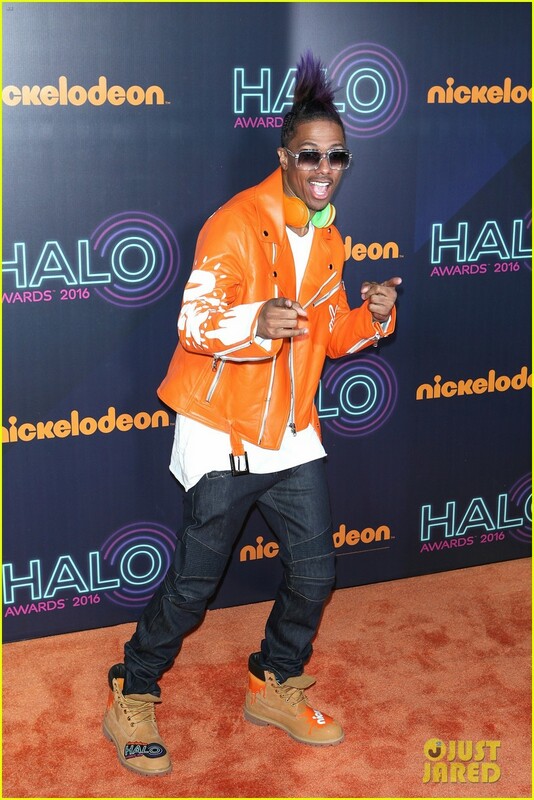 Check out nick.com/halo16 for more Nickelodeon HALO Awards! Follow NickALive! on Twitter, Tumblr, Google+, via RSS, on Instagram, and/or Facebook for the latest Nickelodeon HALO Awards 2016 News and Highlights! More Nick: Nickelodeon USA To Premiere Brand-New "Rusty Rivets" Holiday Special, "Rusty's Ski Trip Blip"/"Rusty and the Camp Bandit", On Friday, Dec. 9! Follow NickALive! on Twitter, Tumblr, Google+, via RSS, on Instagram, and/or Facebook for the latest Nickelodeon Preschool and Rusty Rivets News and Highlights! More Nick: School of Rock | #VitaDaNick con Ehi Leus e Francesco Sarcina | Nickelodeon Italia! Follow NickALive! on Twitter, Tumblr, Google+, via RSS, on Instagram, and/or Facebook for the latest Nickelodeon Italy and School of Rock News and Highlights! Aprenda a fazer a primeira parte do ritmo robótico com a Franky! Aprenda a fazer a segunda parte do ritmo robótico com o Chris! Aprenda a fazer a terceira parte do ritmo robótico com a Franky! More Nick: Ritmo Robótico - Eu Sou Franky 2 - Nickelodeon Brasil! 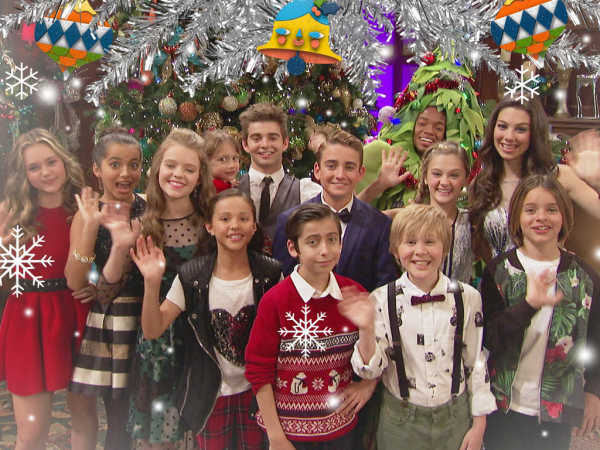 Catch the brand-new Henry Danger Holiday special this Christmas on Nickelodeon and TeenNick! More #XmasOnNick: Nickelodeon UK Invites You To The Ultimate Nick Christmas Party! Follow NickALive! on Twitter, Tumblr, Google+, via RSS, on Instagram, and/or Facebook for the latest Christmas on Nickelodeon UK and Henry Danger News and Highlights! Mehr Nick: Nickelodeon To Premiere "Albert" In Germany, Switzerland, Austria And Poland On Saturday 17th December 2016! Follow NickALive! on Twitter, Tumblr, Google+, via RSS, on Instagram, and/or Facebook for the latest Christmas on Nickelodeon Germany News and Highlights! The Hungarian children's television news blog Gyerek-Világ is reporting the exciting news that Nickelodeon Central and Eastern Europe (CEE) will be premiering Nickelodeon's all-new Nickelodeon Ho-Ho Holiday Special, locally titled Nickelodeon – Karácsonyi kelepce, on Saturday 17th December 2016 at 16:05! In a new spectacular hour-long variety special featuring musical numbers and comedy sketches, every Nickelodeon star under the sun, including Brec Bassinger, Buddy Handleson, Jackie Radinsky, Lilimar Hernandez, Haley Tju, Rio Mangini and Coy Stewart from Bella and the Bulldogs (Bella és a Bulldogok), Cree Cicchino, Madisyn Shipman, Benjamin "Lil P-Nut" Flores, Jr. and Thomas Kuc from Game Shakers, Addison Riecke, Diego Velazquez, Kira Kosarin, Jack Griffo and Maya Le Clark from The Thundermans (A Thunderman család), Lizzy Greene, Aidan Gallagher, Casey West Simpson and Mace Coronel from Nicky, Ricky, Dicky & Dawn (Nicky, Ricky, Dicky és Dawn), Isabela Moner, Jaheem Toombs and Owen Joyner from 100 Things to Do Before High School (100 dolog a gimi előtt), Jace Norman, Sean Ryan Fox and Riele Downs and Ella Anderson from Henry Danger (Veszélyes Henry), Breanna Yde and Jade Pettyjohn from School of Rock (Rocksuli) and Sydney Park from Instant Mom & The HALO Effect, shows up for the most amazing holiday party ever. However, it soon becomes clear that the whole evening is an evil trap devised by a mysterious stranger! The Nick stars now have to struggle through various holiday-themed obstacles and challenges if they want to escape and find their way ho-ho-home. So come for the carolling, stay for the snowflakes and watch all your favorite Nick stars come out in Nickelodeon's Ho Ho Holiday Special! Look out for special guest cameos from a box of ornaments, a Nutcracker, a Puppy, a whole lot of Eggnog, a giant ice cream scoop, a snow Dog, a room full of nuts, a Grandma doing the Worm, a guy named Moe, a French snowman, a selfie stick, and President Barack Obama! More Nick: Nickelodeon Central And Eastern Europe To Premiere "Albert" On Sunday 18th December 2016! Follow NickALive! on Twitter, Tumblr, Google+, via RSS, on Instagram, and/or Facebook for the latest Christmas on Nickelodeon Central and Eastern Europe and Nick's Ho-Ho Holiday Special News and Highlights! The Hungarian children's television news blog Gyerek-Világ is reporting the exciting Nickelodeon International news that Nickelodeon Central and Eastern Europe (CEE) will be premiering Albert, the first original animated TV movie Nickelodeon has ever made, on Sunday 18th December 2016 at 16:05! Albert is the story of a tiny Douglas fir tree named Albert who has big dreams of becoming Empire City’s most famous Christmas tree. When the search for this year’s tree is announced, Albert believes he has found his calling and hits the road with his two best friends, Maisie, the persistently positive palm tree, and Gene the abrasive and blisteringly honest weed, to fulfill his destiny. With a few prickly situations along the way, and Cactus Pete out to stop him, Albert learns the true meaning of Christmas. The hour-long CG-animated TV movie will also feature two original songs, “The Best Thing That Can Happen to Christmas” and “Christmasiest Christmas,” performed by the voice cast. The US-English dub of Nickelodeon's brand-new animated TV movie features a star-studded cast, including Bobby Moynihan (Saturday Night Live) in the title role; Sasheer Zamata (Saturday Night Live) as Maisie, the persistently positive palm tree; Judah Friedlander (30 Rock) as Gene, the abrasive and blisteringly honest weed; Rob Riggle (21 Jump Street) as Cactus Pete; Cheri Oteri (Saturday Night Live) as a TV news correspondent; Brenna Yde (School of Rock) as Molly, Earth Mama’s granddaughter; John DiMaggio (Adventure Time) as Donny, Molly’s father; and Mary Pat Gleason (Mom) as Earth Mama, the owner and caretaker of the nursery. Follow NickALive! on Twitter, Tumblr, Google+, via RSS, on Instagram, and/or Facebook for the latest Nickelodeon Central and Eastern Europe and Albert News and Highlights! Westfield, NJ Brothers Create Nickelodeon's First Christmas TV Movie, "Albert"
Will and Aaron Eisenberg, two brothers who grew up in Westfield, New Jersey, have written Albert: The Little Tree with Big Dreams, Nickelodeon's first-ever animated Christmas movie for TV! They've also written an accompanying book of the same title, published by Random House. The Eisenberg brothers both graduated from Westfield High School, Aaron in 2007 and Will in 2008. 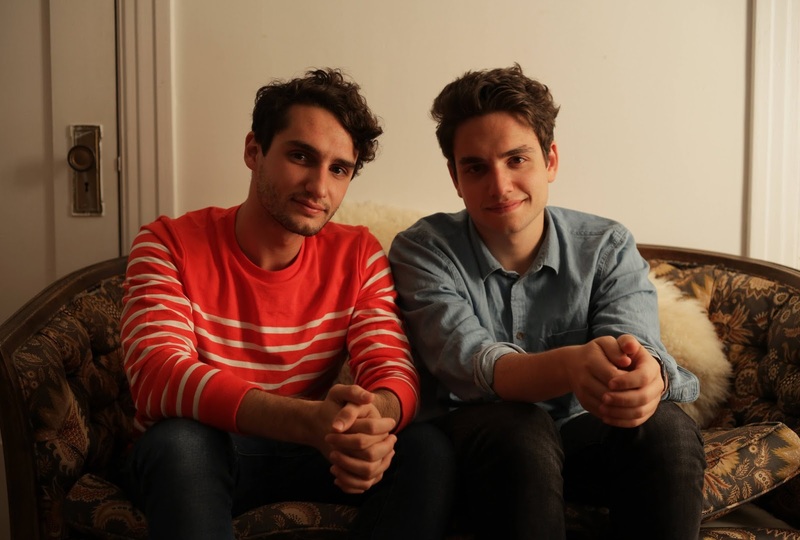 After attending different colleges, they moved to Los Angeles and have been writing together for about six years. 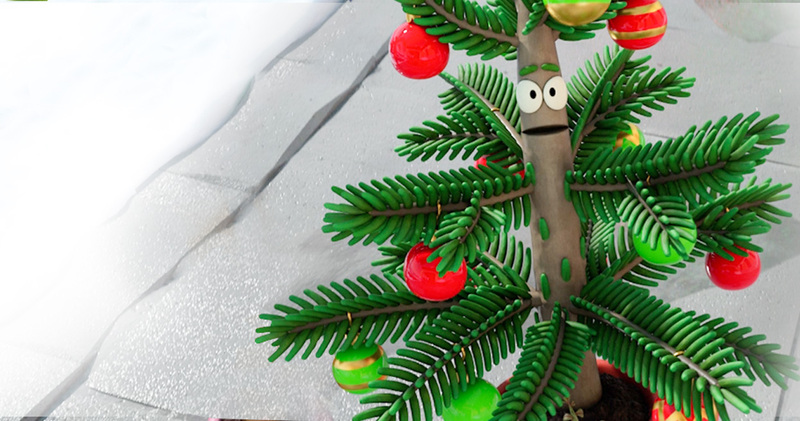 Albert: The Little Tree with Big Dreams tells the story of Albert, a two-foot Douglas fir tree, who is obsessed with Christmas but has never been picked to be a family Christmas tree. When he hears that the search is on for the famous New York City Christmas tree, he sets out to accomplish the ultimate dream with the help of his two friends. The Eisenberg brothers wrote Albert a few years ago and originally pitched it as a feature film. After finishing their first TV movie at Nickelodeon, Massively Mixed Up Middle School Mystery, they mentioned it to their producers and the rest fell into place. “The network ordered Albert as a TV feature and a book, simultaneously,” Will Eisenberg said. “We couldn't say no. Nickelodeon was a perfect fit and TV, as it turns out, a perfect outlet for a holiday movie." 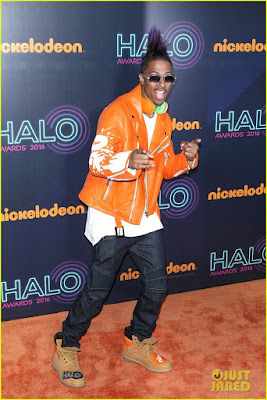 During an exclusive interview with HollywoodLife.com on the Orange Carpet at the 2016 Nickelodeon HALO Awards, Nickelodeon star Nick Cannon announced that a All That reunion will be happening! However, fans who are hoping that Nick will be reprising his hilarious "inconvenience store" sketch, in which he played a sassy woman named Latanya, may be a bit disappointed. “You will not see me dressed up as a woman though!” Nick joked. Well, NickALive! are just happy to hear that Nick will be joining what’s sure to be an EPIC reunion! Nick starred on the hit Nickelodeon sketch-comedy show from 1998 to 2001. Some of his most hilarious skits included, of course, the inconvenience store woman, in which he played Latanya alongside fellow cast member Kenan Thompson. He also played a member of the Spice Boys, a spoof on the Spice Girls, in which he was “Sweaty Spice,” and how can anyone forget his role as the funny receptionist at the fictional Dudco Enterprises?! Classic! These days, Nick is busy with his adorable 5-year-old twins with ex-wife Mariah Carey, spending this Thanksgiving weekend together in Hawaii! He’s come a long way from his All That days, however, he still has close ties to Nickelodeon. Following his stint on All That, Nick hosted his own series, The Nick Cannon Show, and later went on to become the Chairman of TeenNick, and the co-creator of Nickelodeon's hit musical comedy series Make It Pop. We can still count on him to always make fans laugh! NickALive! are counting down the days until the Nickelodeon reunion! Nickelodeon has held several All That reunions over the last couple of years with the original cast members of All That, most recently for The Splat's The Double Dare Reunion Special, which aired this Thanksgiving. The Annie Awards has announced the fantastic news on the organizations official website, annieawards.org, that Nickelodeon's hit animated series Teenage Mutant Ninja Turtles and Pig Goat Banana Cricket, and Nickelodeon's popular game app Teenage Mutant Ninja Turtles: Legends, have been nominated for three awards 44th Annual Annie Awards, an prestige annual awards show which honors the best in animation! Additionally, the popular animated preschool series Puffin Rock, which airs on Nick Jr. UK & Ireland and Nick Jr. Australia & New Zealand, and the popular CG-animated series All Hail King Julien, which airs on Nickelodeon Poland (Polska), locally titled Niech żyje Król Julian, have also been nominated for three awards in the 44th Annie Awards! Honoring excellence in the field of animation, the 44th Annual Annie Awards will be presented in 35 categories including animated feature, animated feature-independent, broadcast production(s), broadcast commercial, short subject, and student film, as well as the achievement and honorary awards. The 2016 Annie Awards ceremony will be held on Saturday 4th February 2017 at UCLA's Royce Hall in Los Angeles, California. 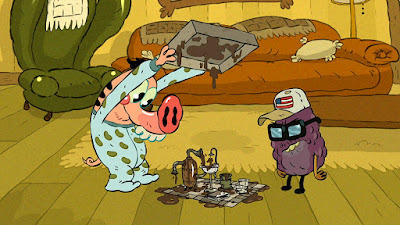 * Counterfeit Cat - Episode: 28 Seconds Later - Tricon Kids & Family and Wildseed Kids - Art Director: Raphaël Chabassol Character: Full cast: Max, Gark, Betty, etc. Additionally, Nickelodeon is Platinum Sponsor of the 44th Annual Annie Awards. H/T: Variety, via MSN Entertainment. Power Rangers - Christmas Compilation!